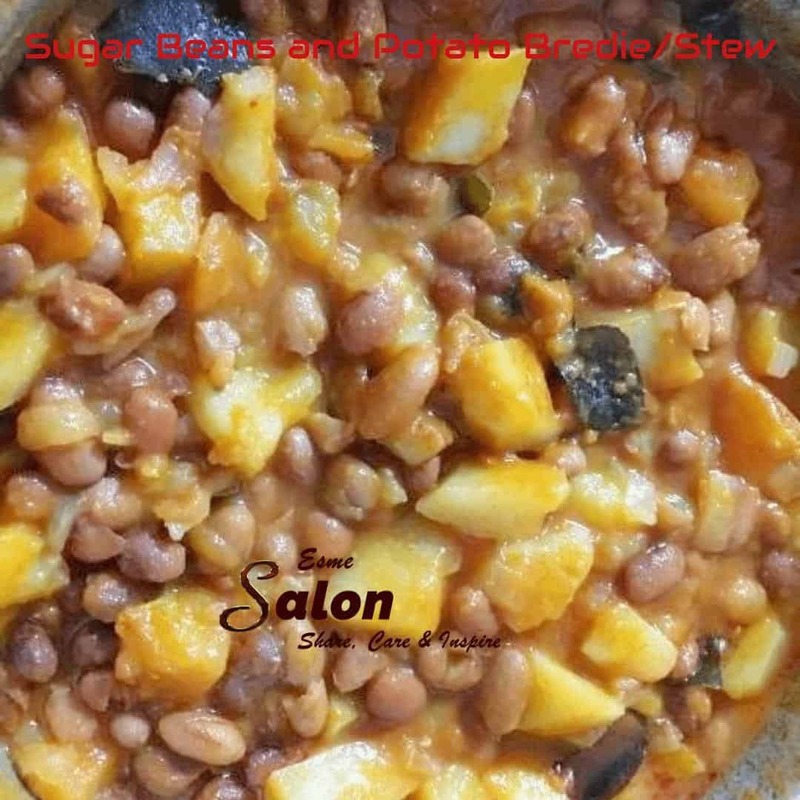 In one of my grans Cape Malay cookbooks, I found this Home-made Sugar Beans with Potato Bredie/Stew, although she made it with meat and I have left the meat out to make this a meatless dish. This is so much better and tastier than my normal sugar beans curry. This Sugar Beans with Potato Stew recipe serves 4 people. 1 x tin (250g), sugar beans, washed and drained. 1 x green chili, chopped. Few curry leaves, but you can omit if you can’t get your hands on any. 1 x tbsp. white sugar. 3 x potatoes, peeled and cubed. In a pot, heat the oil and add the onions and saute until transparent. After that mix in the chili, curry leaves, ginger and garlic and salt, stir and cook for about 2 – 3 minutes. Once done, you can add tomato paste and potatoes, toss so that the potatoes are nicely coated. Be sure to add enough water to cover the potatoes, cover the pot with a lid and allow the potatoes to cook on a medium heat until almost done, check every couple of minutes and add more water to prevent the potatoes from sticking to the bottom of the pot. Add the sugar beans and a little more water. Cover and cook until the potatoes are done and the gravy is nice and thick. In need of more Indian dishes, we’ve got you covered.